In today’s world everyone wants to express and share their ideas. But How ? Yes, there is an easy way. Its Content Management System (CMS)! What is Content Management System ? How can CMS will Help Us ? 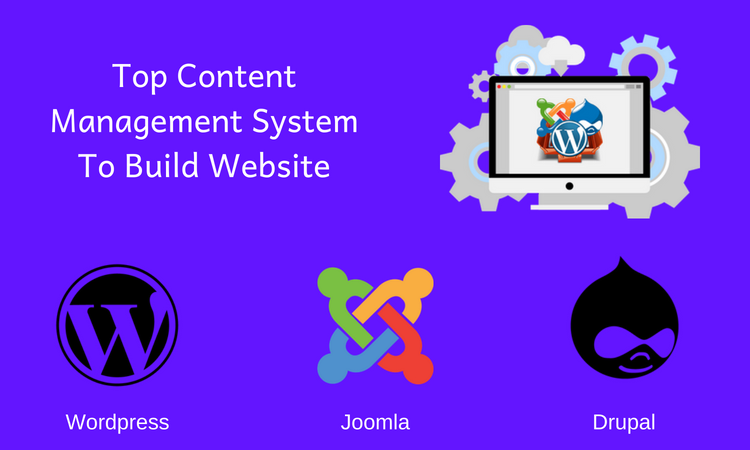 The Content Management System is an application that allows you to create, edit and publish your content on the web.It typically supports multiple users in a collaborative environment. It helps us to share our ideas on web without any coding knowledge. Why Content Management System ? We just need to install it like an application. You can extend its functionality by simply installing plugins. There are many Content Management Systems are available. Following are the most popular ones. Lets take a brief details of each. WordPress is an free and open source Content Management System based on PHP and MYSQL. WordPress is the most popular blogging system on the web and allows updating, customizing and managing the website from its back-end CMS and components. WordPress is software designed for everyone, emphasizing accessibility, performance, security, and ease of use. WordPress themes allows user to change the look and functionality of a WordPress website without altering the core code or site content. WordPress Themes are designed in PHP, HTML and CSS. WordPress Themes take the content and data stored by WordPress and display it in the browser. User can customize the theme using HTML and CSS. And the design elements like images and videos can be included anywhere in your theme. WordPress Plugins are the software application that provides additional features and functionality to your theme or website. WordPress has over 55,286 plugins available. Web developers who wish to develop plugins need to learn WordPress’ hook system which consists of over 300 hooks divided into two categories: action hooks and filter hooks. Step 1 : Extract the downloaded WordPress folder and upload it into your web server or localhost. Step 2 : Open your browser and navigate to your WordPress file path, then you will get the first screen of the WordPress installer. Select language and click on continue. Step 3 : In this step, you can view the information needed for the database before proceeding with WordPress installation. Step 5 : WordPress checks the database setting and gives you the confirmation screen. Now click Run and Install. Step 7 : After installation being successful, you will get a screen of the stating success. You can view your username and password detail. Now click on login. 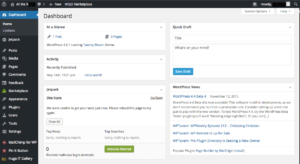 Step 8 : After login, you will get a WordPress Admin Panel. Easy to use – WordPress is an open source CMS which doesn’t require knowledge of PHP or HTML coding. Community – WordPress has more developers who creates new themes and plugins than any other online software of its kind. Themes – There are thousands of free themes available online to use to help you choose a design for your site. Plugins – You can add features and functions by installing plugins which you need. 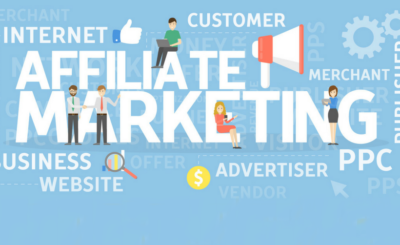 Affordable – WordPress offers a huge variety of themes which can be used to build the website. Search engine optimization tools – WordPress offers great SEO tools that make doing your own on-site SEO simple. Security – the open source software is vulnerable to malicious attacks. Over use of plugins – Using lots of plugins will drastically affect the performance of the site making it slower and decreasing the response time. Updates – Wordpess is constantly changing and growing and it needs regular updates.It can hamper your sites functionality. Joomla is an open source Content Management System (CMS), which is used to build and manage dynamic websites and online applications. It is free and extendable which is separated into front-end templates and back-end templates. Joomla is developed using PHP, Object Oriented Programming, software design patterns and MySQL. Joomla is based on Mambo CMS which was developed by an Australian company in 2001 and initially released on August 17, 2005. The official version of Joomla 1.0 was released on September 22, 2005. Joomla templates are designed with PHP, HTML and CSS. A template determines things like fonts, colors, menu styles, navigation controls, basic layout design, and certain images such as the header and background. A template is basically the design of your Joomla! powered website. With a template you can change the look and feel of your website. 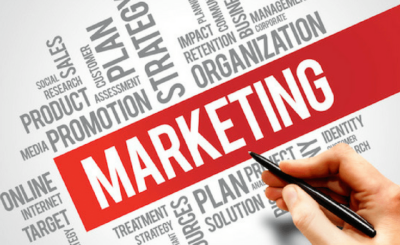 Templates are easy to build or customize and they provide maximum flexibility. There are some Joomla templates that are distributed for free in and of course many joomla templates that are paid. Joomla! extensions extend the functionality of Joomla websites. Many of the extensions built by the Joomla! Community are not free but require a payment for download. Step 1 : Extract the downloaded Joomla folder and upload it on your web server or localhost. Step 2 : Open your browser and navigate to your Joomla file path, then you will get the first screen of the Joomla installer. Site Name, Description, Admin Email, Admin Username, Admin Password. Database Type, Host Name, Username, Password, Database Name, Table Prefix, Old Database Process. After filling all information, click on Next button. Step 4 : In this step, you will be on last page of the installation process. Choose Default English (GB) Sample Data as an example to build your website and click on Install button. Step 5 : Next, you can see that Joomla starts the installation process on your machine. Step 6 : After a few minutes, after installation is successful and you will get a screen of the Joomla web installer. Next, click on the “Remove installation folder” button which will help you to protect your site, so that no other person can re-install your site. If your installation gets stuck and does not get completed for more than an hour, then do some changes as shown below. Go to Joomla folder → installation → sql folder → mysql folder Open joomla.sqlfile and find the following term: “ENGINE=InnoDB”. Replace this term with “ENGINE=MyIsam” and save the file. 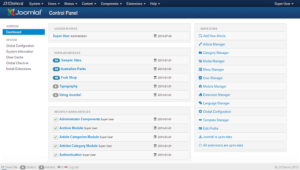 After installing Joomla you are able to login to your Joomla Admin Panel. Easy to install – Its take only about ten minutes from downloading to having a working scripts on a server. Plugins – Joomla has thousands of free plugins available at the homepage. Usability and versability – Joomla can be used to make any kind of website. SEO capabilities – Joomla has improved great on seo fields. Support – There is programmers tools and tutorials available for users. Many plugins and extensions are not free. There is a limited access for website customization. Its has less security compare to other CMS. For first time user, various joomla functions are not easy or simple to use. Drupal provides a back-end framework for at least 2.3% of all web sites worldwide.As of January 2018, the Drupal community is composed of more than 1.3 million members. Many top businesses and government organizations use Drupal, like the Government of Australia, Red Cross, Harvard, The Economist, BBC, NBC News, Whole Foods, Cisco, Twitter, and many, many more. You can download and install new themes from Drupal.org. 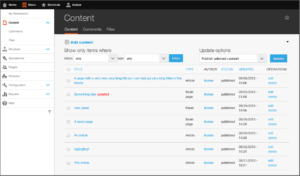 OR copy files of your custom themes to drupal project’s /themes/contrib folder. Drupal themes start from an existing HTML framework and make changes as needed by overriding and changing just the necessary templates. Contributed modules offer such additional or alternate features as image galleries, custom content types and content listings,private messaging, third party integration tools, integrating with BPM portal and more. As of January 2017 the Drupal website lists more than 36,500 free modules. Content Construction Kit (CCK), Views, Panels, Rules, Context and more. Step 1 : Download the zip file and extract it to your local computer. Rename the folder from its current name to any name of your choice to refer to your site. Step 2 : Drupal requires MySQL database. Create a new empty database with user/password for Drupal to use. Step 3 : Open your browser and navigate to your Drupal file path, you will see the first Drupal installer screen. select the Standard option and click Save and continue. Step 4 : Select the default language for Drupal website. Step 5 : Go to Database configuration page. 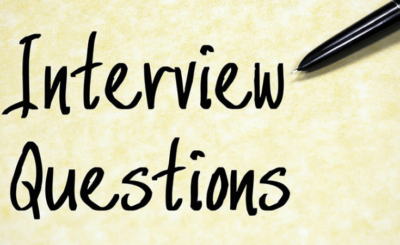 You need to enter the type of database you will be using, and other details. Step 6 : The installation process starts on your machine. Step 8 : The next page indicating that your Drupal installation is successful will appear on your screen. Step 9 : Click the Visit your new site link as shown in this image. Step 10 : Finally, the newly installed Drupal homepage appears on your screen. Drupal includes lot if functionalities as Poll Management, Graphics Modification tools, Advance menu management, user management and many more. Veriety of content types like videos, images, polls, text, blog, podcast, statistics, user management and other. An administrator can create new user accounts and establish their permission rights. The script has several thousand of plugins available at its website. Installation and modification is not user-friendly. WordPress and joomla are more simpler to use. If you are using older system, getting used to this script will take some time. In scalability and efficiency, drupal is far behind than wordpress.